Build interest and intrigue about your distinctive products or services with appealing specialty window graphics! Whether you are advertising your hottest products or services, you wish to provide privacy to your patrons inside your business, or purely want to alert your prospective customers about your specific services, intriguing vinyl window signs and graphics get your brand seen and remembered. 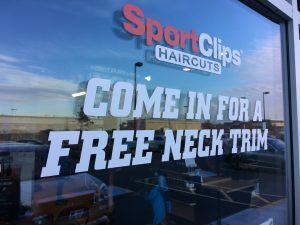 Complete Signs & Graphics is your trusted local vinyl window signs and graphics provider, generating intriguing window graphics, decals, signs, and clings that work hard for you. Complete Signs & Graphics provides promotional window graphics and images for building visibility and brand awareness. 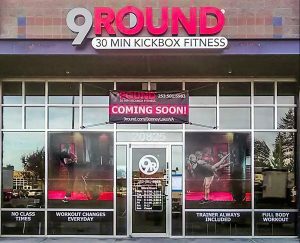 Our skilled vinyl sign and graphics professionals provide unique window graphics that are cohesive with your existing branding, support your marketing goals, and ultimately attract more new potential buyers. Our window sign and graphics experts will deliver the custom signs and graphics you need to support your marketing goals. We listen and learn about your brand and business to make intelligent suggestions for signs and graphics that will best suit your business. Our experienced staff is eager to reinforce your marketing goals with locally-produced window graphics, wraps, lettering, signs, banners, and more. Everyone knows that retail shops have a lot of time and energy invested in their promotional and seasonal window displays. A memorable window display is developed to pull inquisitive likely customers in your shop. 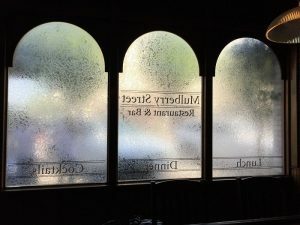 When you are marketing a special sale, event, or promotion, or aim to increase sales connected to a high-demand, seasonal item, engaging window displays are an outstanding way to manage this. Primarily, promotional window displays are updated very frequently to exhibit the hottest items your company provides. Complete Signs & Graphics is your go-to source for engaging window signage products to market your special events and sales and high-margin products in a professional way designed to draw in more people. Office buildings, for instance, service professionals, real estate agents, insurance brokers, law firms, counselors and therapists, and more, work with branded vinyl window film on their storefront windows for privacy, branding, or promotional functions. Our team of experts produce privacy film that provides the same look as a frosted glass windowpane, without having the cost and hassle of entire replacement glass panels. Quite a lot of professionals desire to have the company name, logo, and other branding or business messaging added within their vinyl privacy film for business promotion and brand identification. Our sign and graphics professionals will craft long-lasting and durable privacy film unique to your organization, or give examples of frequently chosen vinyl film possibilities that will support your branding needs. Even a service provider can attract more new customers with a high-quality, eye-catching window display! 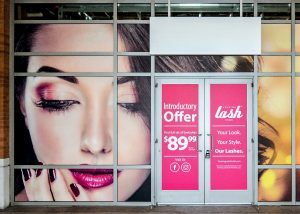 Put your storefront to work, attracting more potential customers with custom graphics, lettering, banners, murals, and posters featuring your most beneficial solutions, special offerings, or even build an eye-catching and informative display that highlights your brand and services. Our knowledgeable custom sign and graphic designers consider your unique business needs to build the perfect custom display that you need. We handle manufacturing as well as the expert installation of your custom business window graphics. Your experienced graphics and signs supplier, we supply the window signs, displays, posters, banners, graphics, or lettering you need to promote your brand visibility and increase business traffic. Call Complete Signs & Graphics today at (647) 484-3889 for your Free Consultation with a Window Graphics Specialist!